Last week, I posted about my visit to Monte Cristo homestead – “Australia’s most haunted house” – in Junee, NSW. As an open-minded skeptic, I was interested to explore the place and see what all the fuss is about. Having taken the tour, then slept there the night I am somewhat disappointed, though not really surprised to report that it was nothing more nor less than an old house with an interesting history. 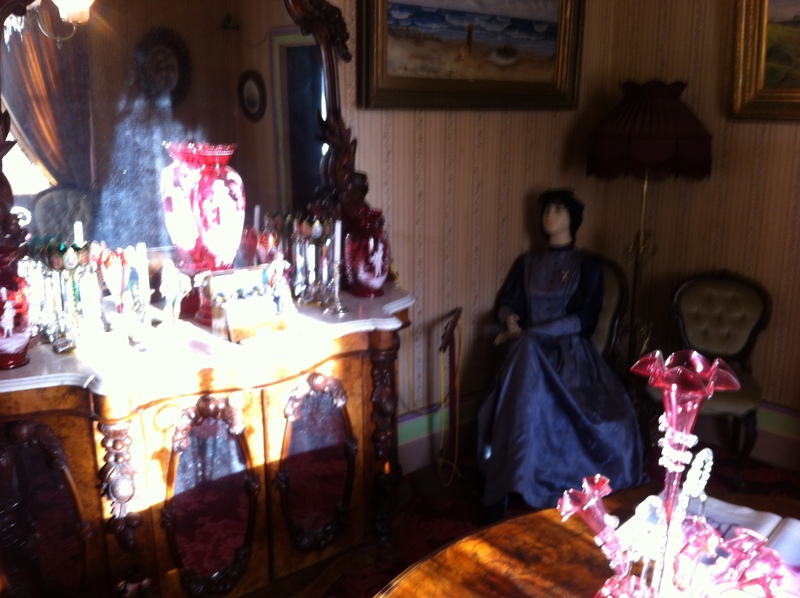 I included a shot I took in the front parlour and speculated about the ‘ghostly’ shape that I captured in the mirror. 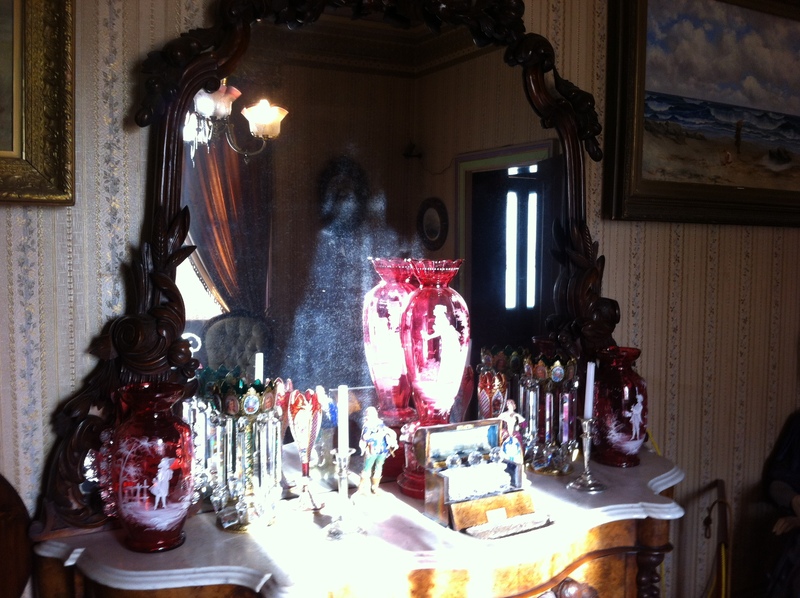 The shape was actually there – that’s why I took the picture – but it was only reflected sunlight coming through the window, all broken up by the deteriorated state of the mirror silvering. How curious that the shape of the flaking silver just happens to resemble a human figure! A camera flash glancing off that mirror from just the right angle would probably produce a somewhat creepy effect on a photograph taken at night. Or, just perhaps, it is the shape of the light coming through the open curtains? Anyway, I darkened the image before I posted it, to make it look like it was taken in low light, just to see how it would look. It has created a storm of controversy, with no fewer than 2 people commenting on the post. Here are the untouched originals. ~ by Garry on November 1, 2014.